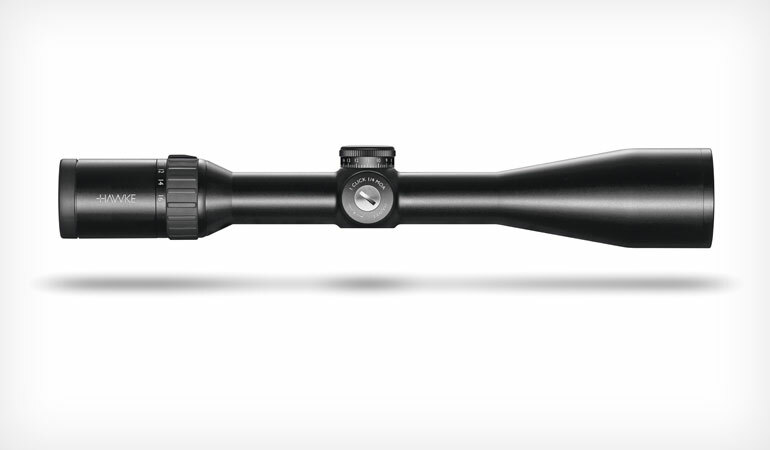 The Endurance WA is an economical option built on a 30mm tube, offering a wide 24-degree field of view and a generous four inches of eye relief. They’re available in a number of reticle styles, including the company’s Long Range Centerfire reticle, which is ballistically matched to popular hunting cartridges. Lenses are multicoated, and the scopes are gas-purged. Powers are 1-4x24mm, 1.5-6x44mm, 2.5-10x50mm and 3-12x56mm, and adjustments are in mils or m.o.a. depending on model. These are fixed-parallax scopes, but Hawke also sells a side-focus Endurance line. Sporting a 20-inch heavy-contour, threaded fluted barrel and flat dark earth Magpul Hunter stock, this 700 comes optics ready with a 20 m.o.a. rail. Up front is a Kinect M-Lok bipod mount, and a bipod is included. 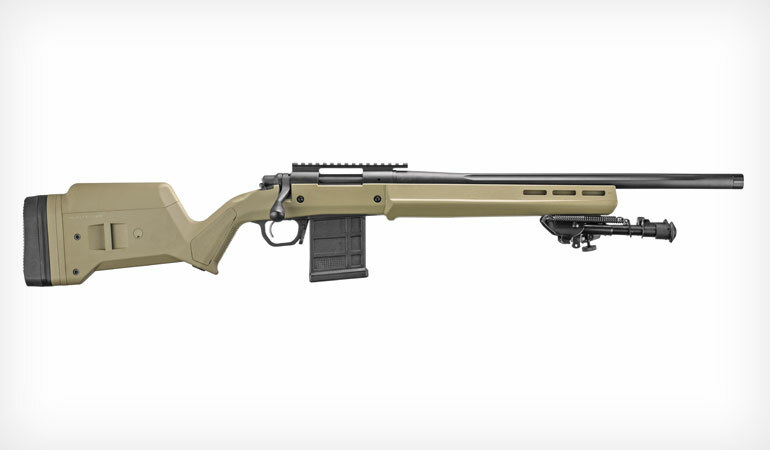 The rifle features Remington’s X-Mark Pro externally adjustable trigger and a tactical bolt knob. Ships with a 10-round mag. Available in .308 Win. and 6.5 Creedmoor. 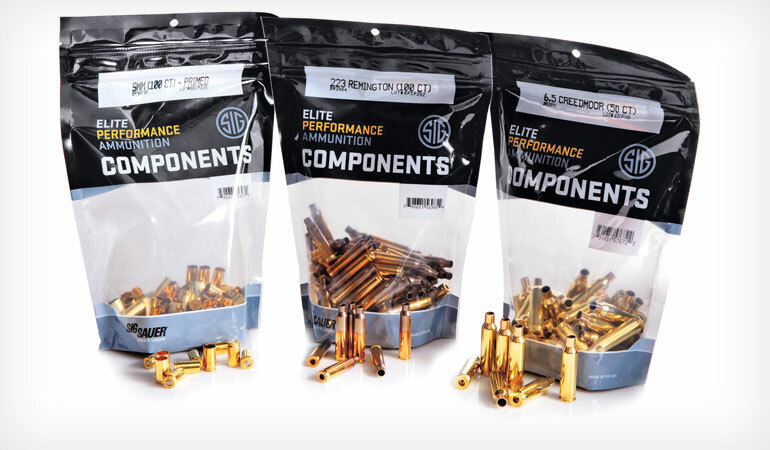 SIG has been in the ammo biz for just a few years, and it must be going well because the company is now selling component cases, too. Made at the company’s Jacksonville, Arkansas, plant, Elite Performance brass features consistent primer pockets and deburred flash holes, and they’re induction annealed for excellent bullet retention. Available in bags of 50 in .223 (100 count), .22-250, .243, 6.5 Creedmoor, .300 BLK, .308 and .300 Win. Mag. Several popular pistol calibers are offered as well. 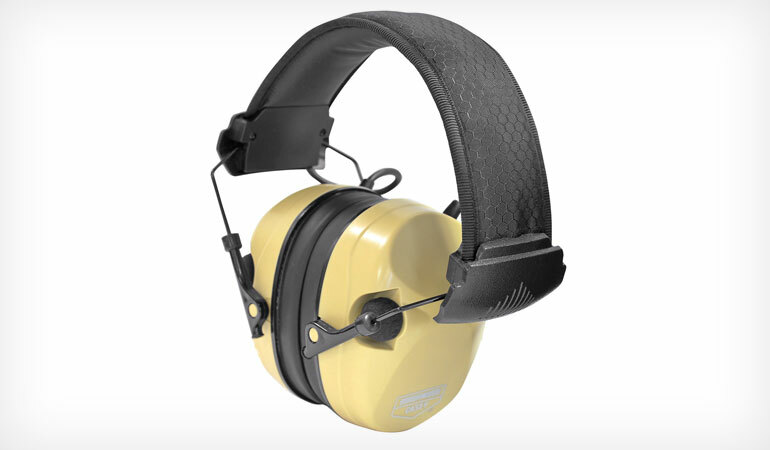 These electronic muffs attenuate all sounds above 85dB and have a noise reduction rating of 26dB. They feature an adjustable padded headband and have an auxiliary input jack (cord included), and the muffs have an LED indicator to let you know the status of the AAA batteries (also included). They come in carbon fiber and desert tan finishes.